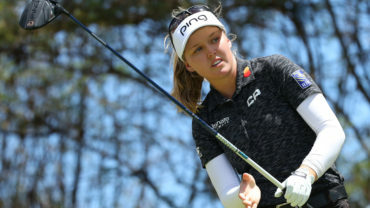 PHOENIX – Jessica Korda had 240 yards to the front of the 15th green Thursday morning in the chilly first round of the Founders Cup. She reached for driver – and caddie Colin Cann didn’t stop her. While she often hits driver off the deck at home in Florida, she hadn’t attempted it in competition. “It’s just if my caddie has a heart attack or not,” Korda joked. The lanky American spared her looper’s ticker with a shot to 15 feet. “I think the crowd enjoyed it more than I did, but I did think it was really cool,” said Korda, making her third start following off-season jaw surgery. She settled for birdie on the par 5 – her fifth in the first six holes – after the eagle try lipped out. 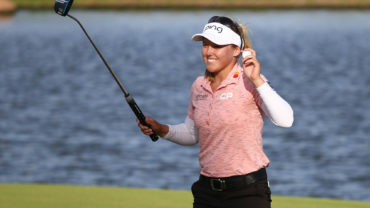 She did make one more birdie at Desert Ridge, but closed with two of her three bogeys in a 3-under 69 that left her two strokes behind leaders Karine Icher and Chella Choi. Ariya Jutanugarn, playing alongside Korda and defending champion Anna Nordqvist, was a shot back with Inbee Park, Lizette Salas, Cydney Clanton, Mariajo Uribe and Hee Young Park. Maude-Aimee Leblanc of Sherbrooke, Que., was the low Canadian, shooting a 3-under 69 to tie for ninth. 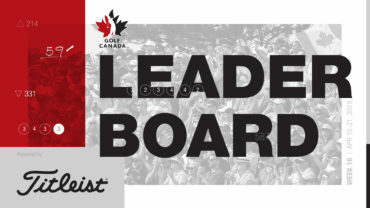 Brooke Henderson of Smiths Falls, Ont., and Quebec City’s Anne-Catherine Tanguay were tied for 61st at even-par 72. Hamilton’s Alena Sharp was 3-over 75 to sit 117th. Korda won three weeks ago in Thailand in her return from the surgery, which corrected a severe overbite. Though she no longer has constant headaches, she’s still sore and fighting a head cold – all more difficult in the cold and wind. “If you guys are going numb, just think about how my lips are turning blue,” she joked. Korda has four straight top-10 finishes, tying for third and second in her final two events last year before the surgery and following the victory in Thailand with a tie for 10th in Singapore. She has worked hard to improve her short game, focusing on her chipping. 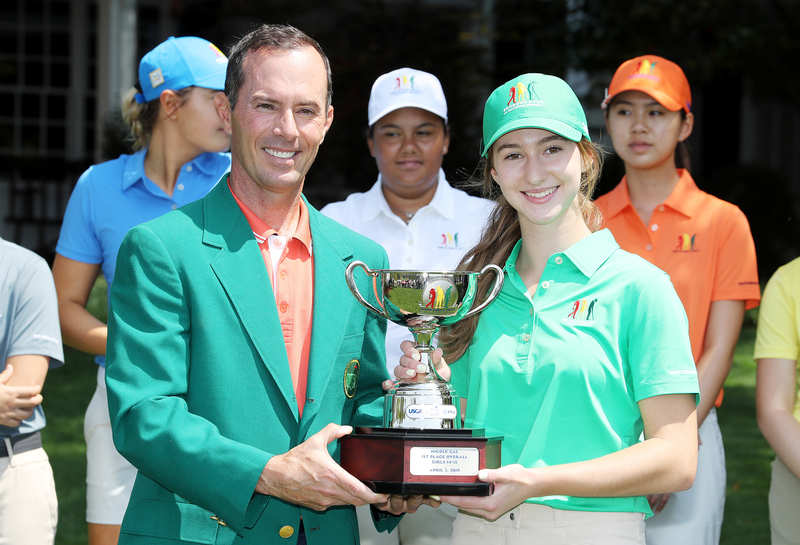 Nelly Korda helped mother Regina Rajchrtova – also a former professional tennis player – care for Jessica. The 19-year-old Nelly had a 72 in the group behind her sister. She tied for second in Singapore, a stroke behind Michelle Wie. The Kordas’ brother, 17-year-old Sebastian, won the Australian Open junior tennis title in January and is the top-ranked junior in the world. Icher bogeyed Nos. 15 and 18 after playing the first 14 holes in 7 under. “With the wind picking up, it’s a little bit hard,” Icher said. The 39-year-old Frenchwoman birdied five of her first eight holes. Choi also finished with a bogey. “It was windy and tough out there, but every player in same condition,” Choi said. Nordqvist, a Swede who played at Arizona State, closed with a bogey for a 69. Fourth-ranked Sung Hyun Park also had a 69. Wie opened with a 70 in the afternoon. Lydia Ko had five bogeys in a 74.